Yay! Once again I am posting pictures! 4 hours later and a bit of frustration to mix. I am reposting the initial one with the photos added. A little update though, I have not heard back from the health food store yet as to whether or not they can order the calcium carbonate. I will call them this afternoon before I head to work. Also, Dixie, you had asked what type of brush I was using and I said my 2 1/2″ angled sash brush. I am still doing so for the most part but I did try a sponge brush for the flat surface of a piece and I was duly impressed by how smooth the finish came out. So glad to be back to it! I am taking some new photos of some other pieces and will be posting on them shortly. I have had the chance to work with the calcium carbonate mix of chalk paint and I must admit it wins hands down. Not to say that when in a pinch I won’t use the Plaster of Paris type. It is just that the CalCarb is much smoother. You hardly even know that it is mixed into the paint. 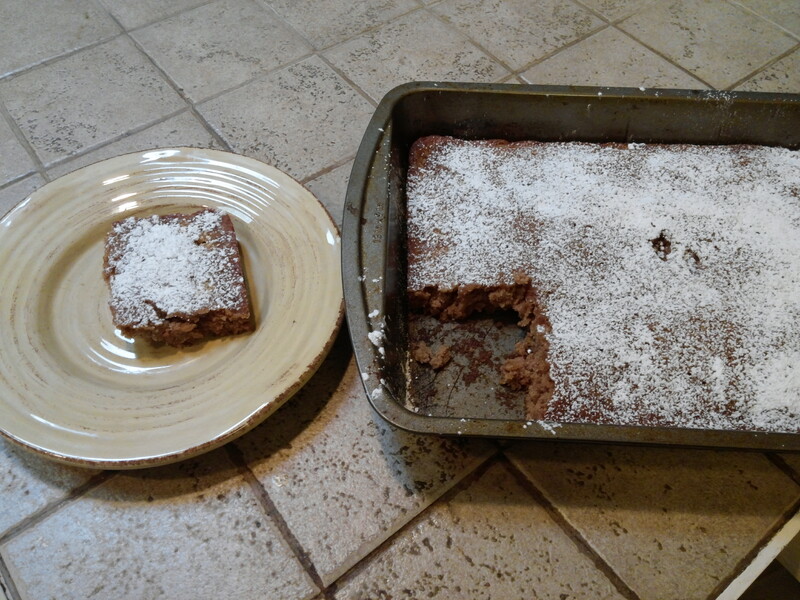 It dries a little more slowly but not much. And it seems that there is less of a chance for brush strokes. Speaking of which this is another area I would like to address. I tried brushing the two different chalk paints on with two types of brushes. A sponge brush and my usual 2 1/2″ angled brush that I use for pretty much everything. The sponge brush wore out much more quickly than usual, especially with the PoP varity of paint. I think maybe the chalk dries it up. Both types of chalk paint went on just fine with my angled brush (I guess I should be calling it a sash brush) and it washed out quite easily as well. 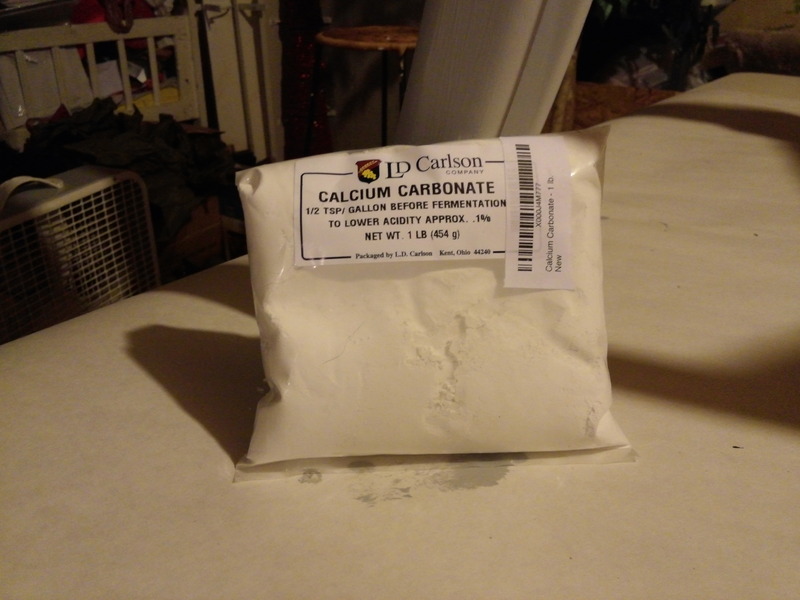 The Calcium Carbonate is a little more expensive but you don’t use as much and I think it balances out actually. It didn’t come packaged like I thought it might. It was simply in a plastic bag. Not sure what I was expecting but that wasn’t it, lol. 2T Calcium Carbonate mixed with 1T water and added to 1C of paint. 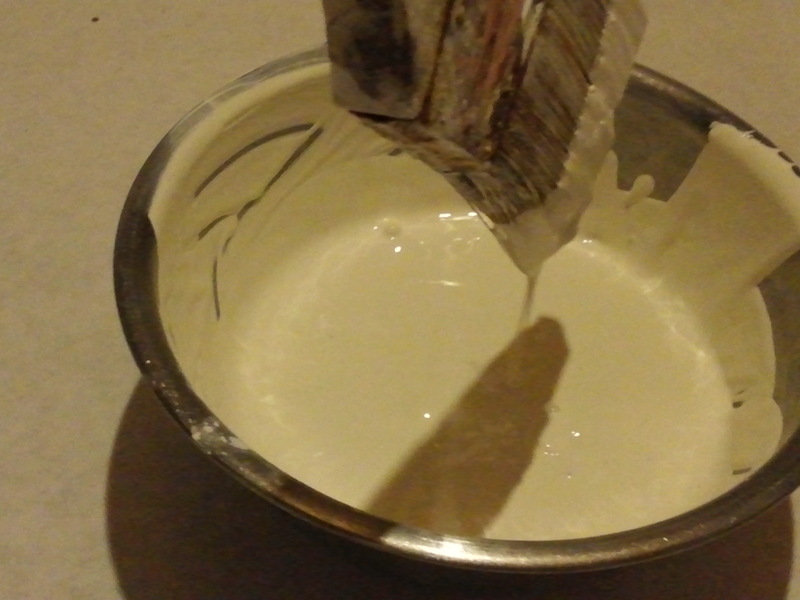 8T Calcium Carbonate mixed with 4T water and added to 1qt of paint. The mix should be about the consistancy of pancake batter. 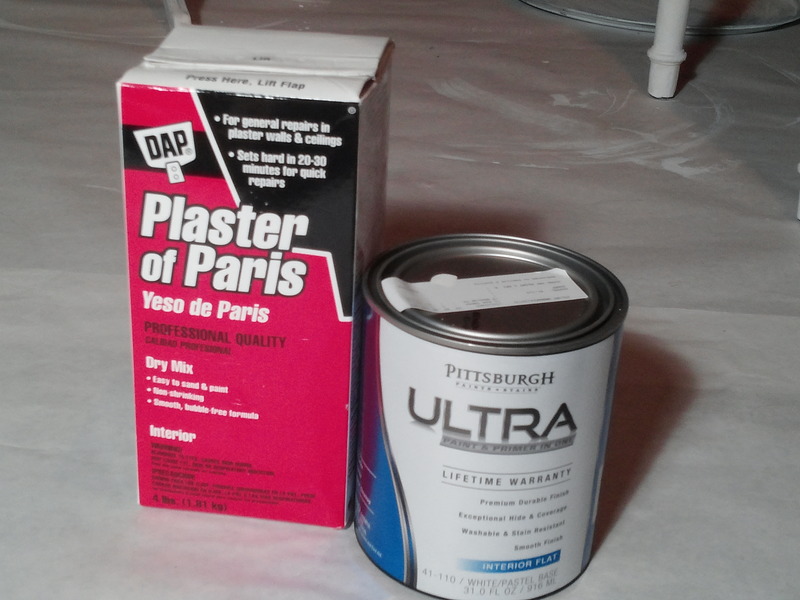 As with the Plaster of Paris mix, a flat finish paint should be used that does not have a primer already mixed in it. Once again, I want to mention that I had already bought paint that had a primer in because I didn’t have that bit of information. I am continuing to use it and have had no problem. 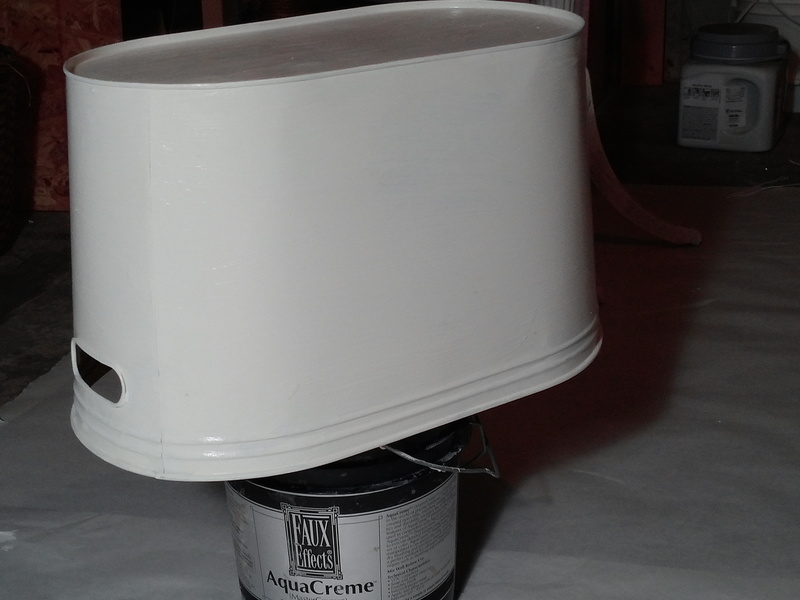 Just know that ideally get the one without primer and be safe. 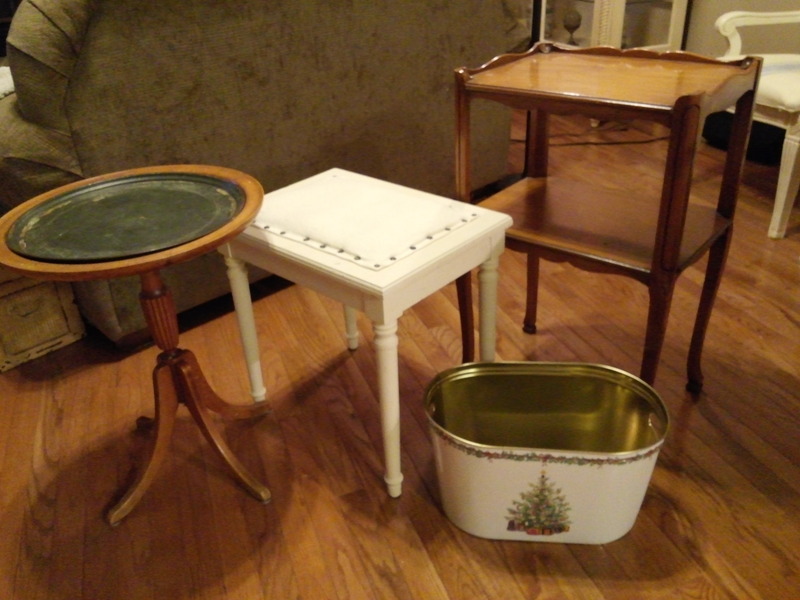 The pieces shown here are ones I am working on for a market. 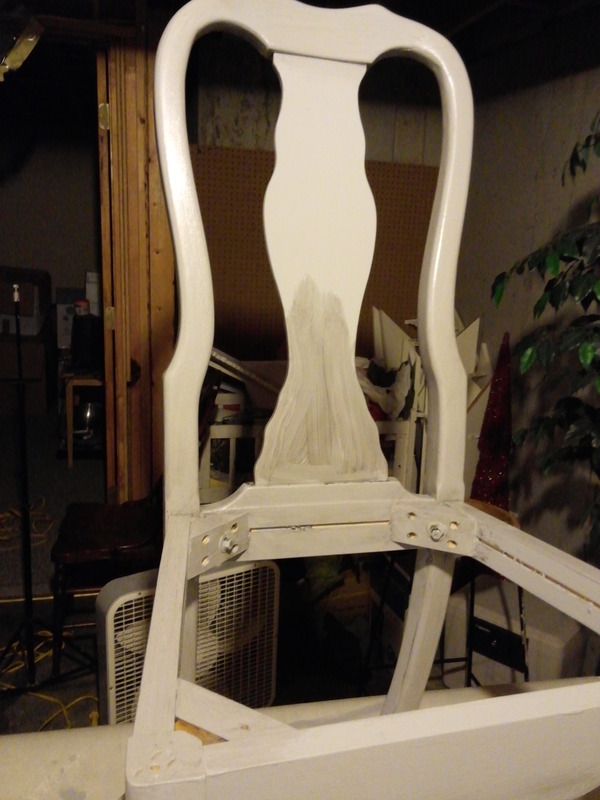 The chair, painted in a cool gray and then glazed is getting an updated fabric for the cushion. The stool also has a small cushion that I am updating. I will be distressing this stool today. You won’t believe the piece I got at Goodwill for $10.00. It’s a gem. I got it finished and will be photographing it today. 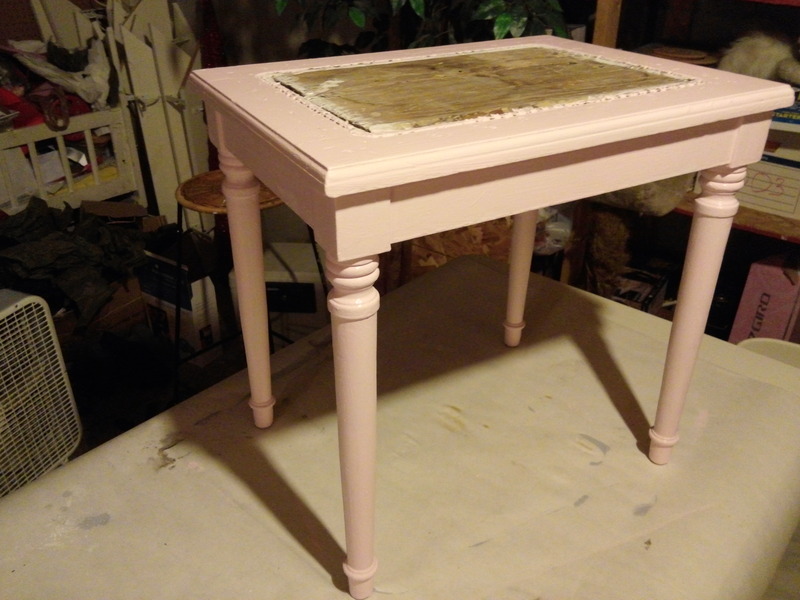 Oops, one thing I wanted to add – if when done painting for the day and you have extra PoP chalk paint, it will keep. 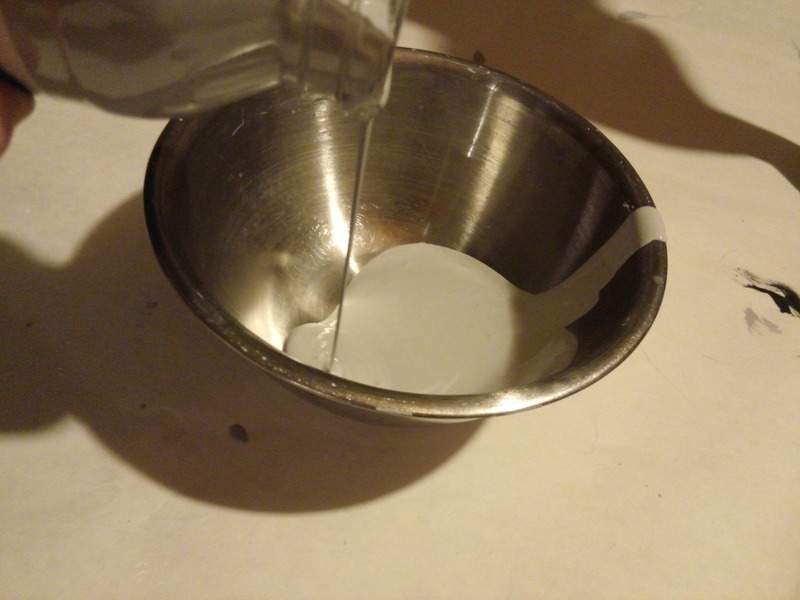 You will most likely need to add a little water when you go back to it, but just stir again and it will be fine.